Updated May 8, 2018: LearnVest to shut down following decision by parent company, Northwestern Mutual. 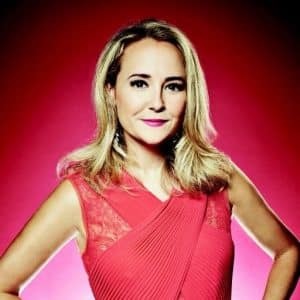 LearnVest was founded in 2009 by Alexa Von Tobel, a Harvard graduate and former Morgan Stanley trader, who figured that if she struggled to understand personal finances in spite of her top notch credentials then probably millions of others were in the same boat. The original idea Alexa had was to create an online education site for women. When you visit LearnVest, you can still discover oodles of educational content. But over time, LearnVest evolved from a purely educational website to a personal finance tool, similar to Mint, YNAB, and Qapital. 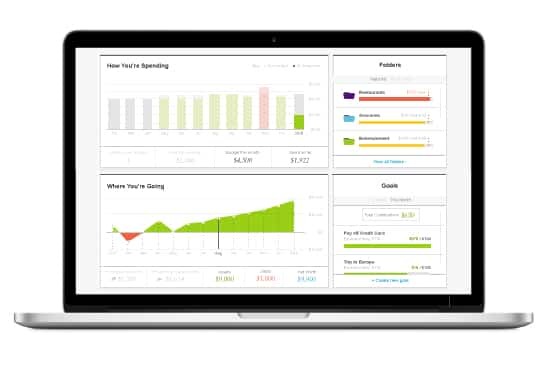 Unlike Mint, its primary competitor, LearnVest goes beyond providing a budgeting tool and will also connect you to financial planners, albeit for a fee. Mint provides more features than LearnVest but serves you ads regularly so the choice between the two depends a lot on your own personal preferences. View your overall financial situation using the LearnVest free budgeting tool, including income, expenses, assets, liabilities, and net worth. LearnVest provides a free budgeting tool that helps you to keep track of your expenses and income, budget smarter, and improve your financial IQ too. Although the company began with a clear focus on women, it caters to men and women equally well these days. You can also track your net worth and spending priorities each month. If you want manual control over certain items, such as spending priorities, you may end up frustrated, but if you are using LearnVest it’s probably because you want to escape from budget tracking on a spreadsheet and prefer a more automated approach anyway. The premium service offered by LearnVest provides you a summary financial plan so you can get back on track to hit your financial goals. Since it was acquired by Northwestern Mutual in 2015, LearnVest has increasingly helped customers to define financial goals and develop strategies to achieve them. The idea is to help you get a strategy for your everyday spending as well as your overall financial planning so you hit your savings and retirement goals. Then LearnVest makes it personal to you by adding financial goals that matter to you. You pick a budgeting strategy that helps you work on needs and wants and get step-by-step guidance to help you realize your objectives. As part of the paid service, LearnVest Premium, you get access to a dedicated financial planner 24/7, a fully customizable financial plan, and online tools, classes and articles to help you turn financial advice into actionable tasks. Paying members also receive a personalized LearnVest Plan document to help stay on track. LearnVest won’t serve you ads or pitch you on investment management services as some other budgeting tools will but instead offers you fee-based financial planning services when you use the free budgeting tool. The competition among budgeting apps is fierce. Personal Capital has one of the best free budgeting apps and Mint, an industry pioneer, remains 100% free. Mint has a few more bells and whistles and is a bit more polished but it makes money by displaying ads, which some users find a nuisance. The ads are intended to be relevant and helpful. For example, if you are paying a high interest rate on your credit card and Mint knows that a lower rate card would result in lower monthly payments, it will display the better credit card offers to you. The Personal Capital budgeting app is also free to use. However, you will be pitched on its robo-advisor service if you meet certain minimum account balances. Like Mint and Personal Capital, LearnVest is free to use but makes money from financial planning services. If you like the idea of more features, Mint may be a better bet. But if you need a little help meeting your financial goals and could benefit from the guidance of a financial planner then LearnVest is well worth considering. Once you connect your financial accounts, LearnVest tracks all your transactions and account balances, provides a breakdown of how your money is allocated, and displays your net worth. Unlike desktop tools, LearnVest gives you a holistic picture of your overall financial situation, as well as a history of your spending and saving tendencies right after you connect your accounts. The LearnVest app is available free to both iPhone and Android users. The simplest way to get started with LearnVest is to download the LearnVest iOS mobile app from the AppStore if you are an iPhone or iPad user or from the Google Play store if you are an Android user. From there you can quickly view your overall financial situation and track your finances. The first thing you will spot is how you are spending money because LearnVest categorizes your expenses, such as groceries, travel, restaurants, gas, insurance, clothing/shoes, automotive, online services, and so on. If LearnVest doesn’t recognize a transaction, you will see it fall under the Uncategorized section, allowing you to label the items more descriptively. Where Mint shines compared to LearnVest is that when you make updates, Mint learns from them but LearnVest does not. For example, if you wanted to change a default transaction label, which we’ll call S*bucks, to Starbucks, LearnVest doesn’t update that modification each month thereafter. However, LearnVest will allow you to split expenses into categories. For example, if you took a vacation and you wanted to break out your ride-sharing costs to a category called Uber, you could do that easily. Plus, when you make cash purchases, you can update the transaction in LearnVest so a more complete picture of your spending is captured. With the simple modification of a slider, you can see how your debt levels are affected by paying off more of your loan balances each month. If you want to set budgeting goals to help you manage your spending and saving, it’s easy to do so with LearnVest. LearnVest is smart enough to figure out how much you are spending on credit card debt but leaves it to you to input your minimum payment each month. A simple slider can be manipulated to display the time it will take to pay off your balance and how your debt level will be affected if you pay off more each month. Where YNAB has the edge over LearnVest is that it can understand how spending in one category can affect another category while keeping your monthly budget on track. For example, if you spend $500 on groceries but had allocated $600, then you have an extra $100 leftover to spend on entertainment and still remain on track. LearnVest has a free budgeting tool, a paid financial planning service, and extensive education but only supports U.S. banks and does not cater to investment accounts. ✅ Free Budgeting Tool: It doesn’t cost you a penny to use LearnVest’s free budgeting app, whether online or on mobile devices. ❌ Investment Accounts: If you want investment management reporting, Personal Capital is a better bet. ✅ Financial Planning 24/7: Other budgeting apps generally make money from ads, paid memberships, and investment management services while LearnVest offers financial planning that is accessible 24/7 as its paid service. ❌ Only U.S. Banks Supported: Canadian citizens and those based abroad will be disappointed to learn that only U.S. banks are supported. ✅ Extensive Education: The list of online classes, tools and content is extensive because LearnVest began as an educational service. ❌ Auto-correct: LearnVest does not provide a way to auto-correct category labels each month. ✅ Goal Tracking: You can create a financial budget easily with LearnVest and with the simple move of a slider see how paying more off your loan balances each month would affect your financial goals. ✅ Dashboard View: Instantly view your overall financial situation, including your net worth. 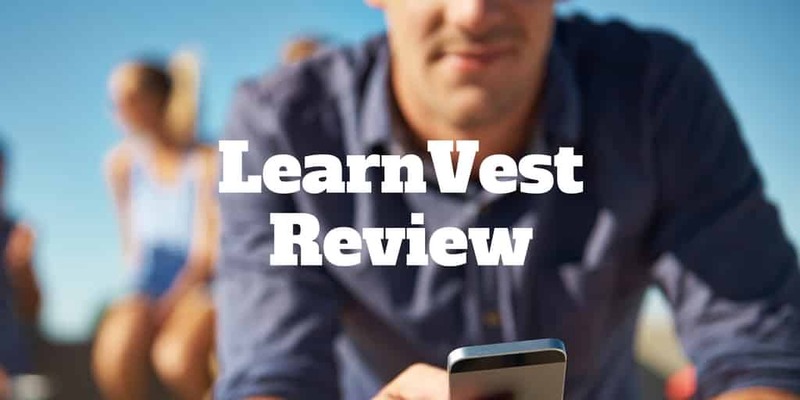 ✅ Mobile Compatible: LearnVest is compatible with both iOS and Android devices. ✅ Analyze Credit Card Debt: Using the budgeting tool, you can enter minimum monthly payments and LearnVest will calculate how soon you will be credit card debt free. If you are looking for a budgeting tool and financial planning help, LearnVest is the place to go. While other budgeting tools, such as Mint and Personal Capital, also provide free budgeting analysis, only LearnVest connects you to financial planners 24/7. It’s free to use the LearnVest mobile app, so before signing up to the paid service, you can play around with the budgeting tool without risking a penny. And what about Learnvest vs Mint? The bottom line is if you are looking for an alternative to Mint, LearnVest is a serious rival. It may lack some of the features Mint offers but on the other hand you won’t be served constantly with ads.